Solar Panels Popping Up Everywhere -- Why? Have you been seeing solar panels popping up in your neighborhood or city? There’s a good chance you have. So, you might be wondering, is the world all of a sudden getting more proactive about addressing global warming, air pollution, and water pollution? Unfortunately, that doesn’t really explain the growth in solar power. Solar power is growing fast, as I noted in a post yesterday, because of the financial benefits of going solar. Quite simply, solar panels save people a boatload of money — and who doesn’t want a boatload of money? Based on 2011 research, the average person who goes solar is set to save over $20,000 over the course of 20 years. I wouldn’t mind having an extra $20,000, and the fact that you can get it by also helping the climate and environment (i.e. the health and well being of you, your kids, your grandkids, and a bunch of other people) is the big bonus. 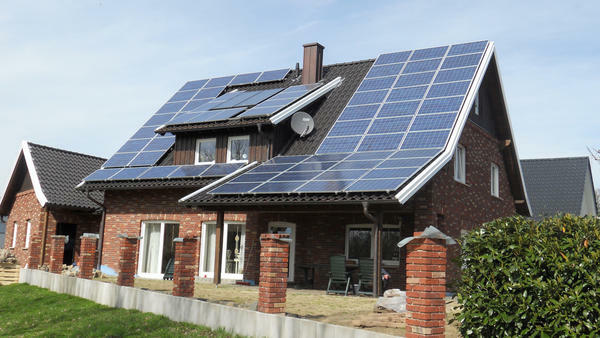 Notably, those $20,000 average savings are for people who went solar in 2011. The cost of solar has come down tremendously since then, and the price of electricity has gone up, which means that the savings should be even greater if you go solar now! Get a quote today. I am not seeing panels popping up at all in the golden state. There are currently more than 1566 solar companies at work throughout the value chain in California, employing 43,700. In 2012, California installed 1045 MW of solar electric capacity, ranking it 1st nationally. The 3,322 MW of solar energy currently installed in California ranks the state 1st in the country in installed solar capacity. There is enough solar energy installed in the state to power 717,600 homes. In 2012, $2.6 billion was invested in California to install solar on homes and businesses.This represents a 31% increase over the previous year, and is expected to grow again this year. Average installed residential and commercial photovoltaic system prices in California fell by 19% last year. National prices have also dropped steadily— by 13% from last year and 34% from 2010.